THIS IS IT! 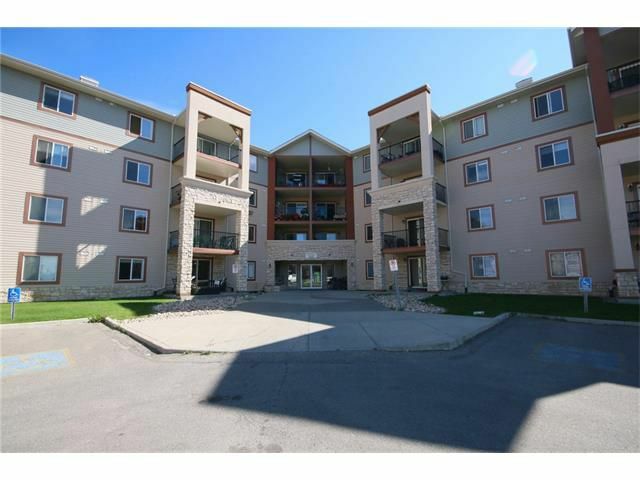 Welcome to 2301, 505 Railway Street in lovely Cochrane, AB. This 3rd floor corner end unit boasts an open floor plan, 2 bedrooms, 2 baths and is waiting for you. It features mountain views, a huge covered deck, fireplace and titled underground parking stall. All appliances come with the unit, including a stacking washer/dryer. Close to Starbucks, movie theatre, banks, shopping and restaurants, this is the ideal 'walkable' location. Immediate possession is available. These corner end units do not come available often, so act quickly.